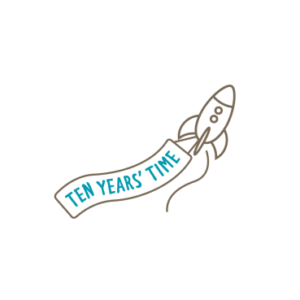 Ten Years’ Time accompanies you on an entirely bespoke journey around the cause of your choice: connecting with community members, service users, frontline workers, social historians, scientists, data and policy experts. Ten Years’ Time accompanies you on an entirely bespoke journey around the cause of your choice: connecting with community members, service users, frontline workers, social historians, data and policy experts. Rather than conduct research on your behalf, we take an educational approach where we coach and support you to become experts. The work is hard but the reward is transformational. The programme is tailored for the next generation of high-net worth families who are looking to invest capital into ambitious new ideas rather than following the crowd to safe ground. We help you become an expert in your field until you are ready to make bold investment decisions, de-risked through your own hard work and insight. Based on interviews, visits and research, Ten Years’ Time will work alongside you to write an ‘emergent narrative’ – a unique document that describes our mutual understanding of the problem and the key game-changing ideas to tackle it. This will become the founding premise of an ambitious grants programme that will transform you into a thought leader in your field. Most of our clients have an initial first year grants budget of £250k -£1m though some are notably larger. They have an interest in risk and are prepared to make big bets on innovative new social or environmental ideas. To find out more, please contact Jake Hayman on 020 8004 6426 or jake@tenyearstime.com. Private briefings with academics, policy makers and frontline workers to understand prevailing opportunities and challenges. No red carpets, just time with people you wish to serve whether that be alongside teachers or social workers, in homeless shelters, or visiting Rwandan farmers. Writing with you an ‘emergent narrative’ – all that you have heard and learnt through the process and your unique take on the change we need in 6-8 pages.